Where could we go on Sunday to enjoy the weather and rack up some points on the FitBit, we wondered? Soon, we were packing a picnic for an excursion to two Dayton MetroParks. Buoyed by a homily that focused on The Pilgrim’s Progress and fortified by an IHOP Country Omelet, we began our journey west on the National Road, which we had virtually to ourselves. 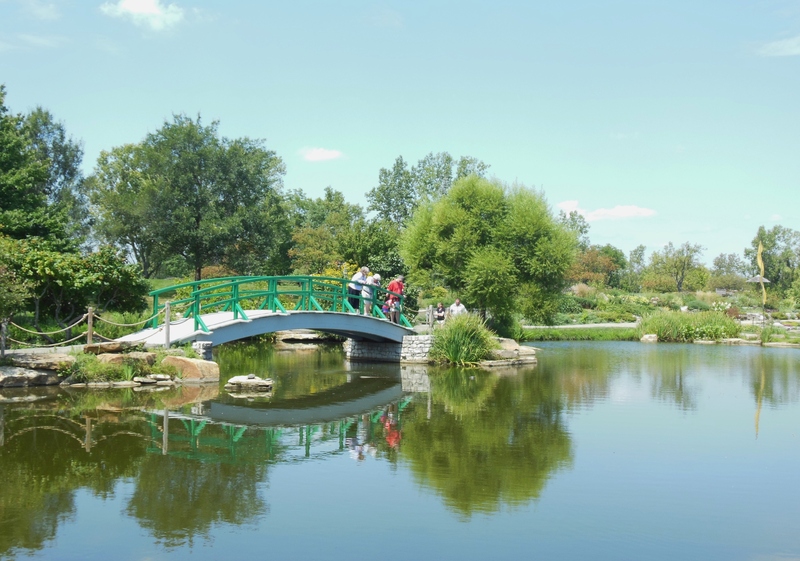 Before long, we turned on East Siebenthaler Avenue and arrived for our first visit to Wegerzyn Gardens MetroPark. A huge tangle of woven wood was waiting for us on the North Plaza. 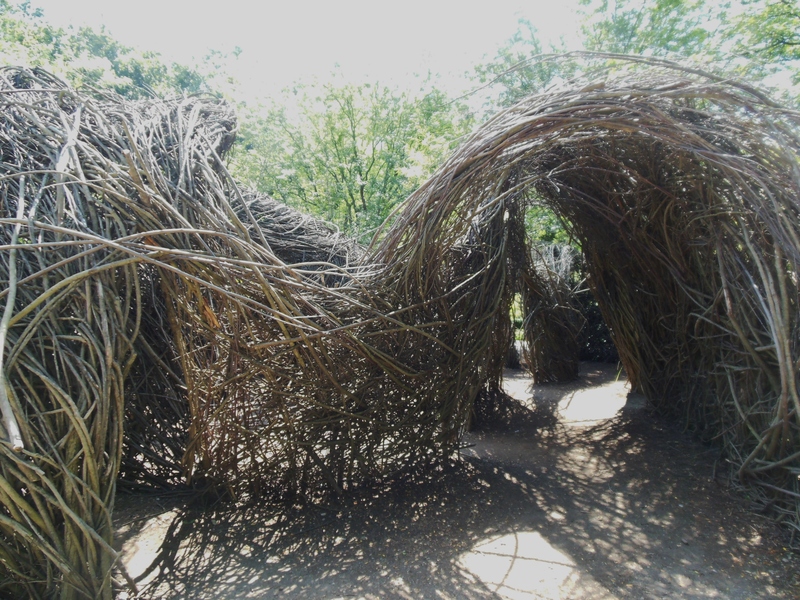 “A Wiggle in Its Walk” is a serpentine sculpture that artist Patrick Dougherty created for Wegerzyn Gardens in 2011. Made of willow branches from the fishing lakes at Englewood MetroPark, the coiling 200-foot-long tunnel was inspired by Fort Ancient’s Serpent Mound, a Native American earthwork located near Lebanon. Visitors can view the sculpture and explore its rustic interior until December 2013. To learn more about Dougherty and the more than 200 works that he has installed around the world, click here. Several different gardens radiate from the plaza. A lush lawn is bordered by an allee of ash trees, tall yew hedges, and annuals in limestone planter walls. Roses, annuals, perennials, shrubs and vines are planted in another garden featuring a limestone-and-timber arbor. Perennials and woodland shade plants populate memory gardens. The Formal Garden includes brick paths, arches of European beech, and parterres in styles reminiscent of late 18th and early 19th century American gardens. An English Garden is highlighted by a wooden arch, designs and plantings evocative of England. 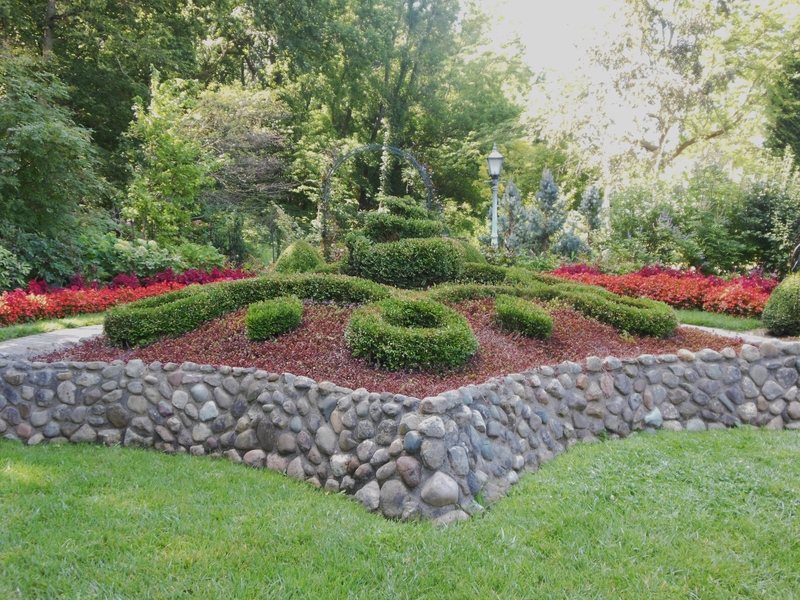 A Victorian Garden features mass plantings in elaborate patterns and a raised pebble-walled bed in the shape of a star, modeled after one at the Dayton Soldier’s Home in the late 1800s. Best of all was the two-acre Children’s Discovery Garden. 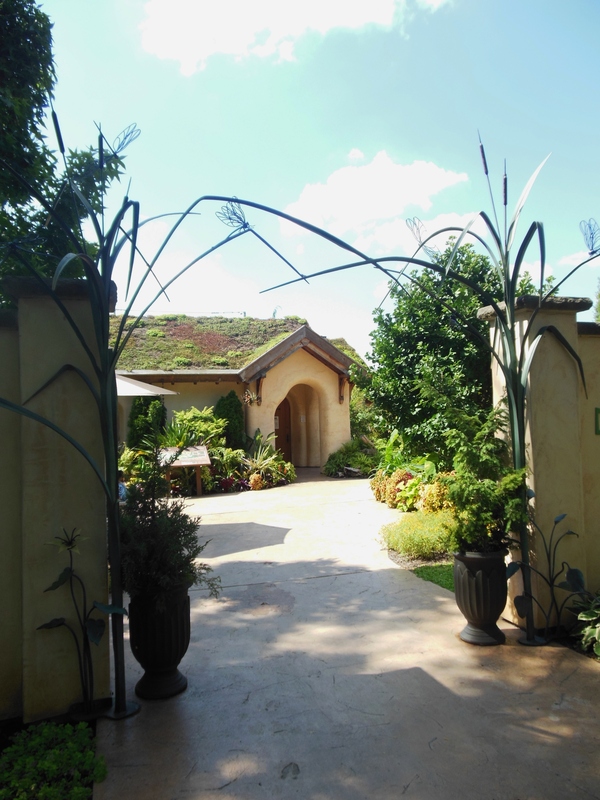 Wrought-iron gates designed with cattails and bamboo open into a courtyard in front of a straw bale house topped with a roof planted with sedum. Leaf and animal prints fill the sidewalks. In the Ohio Habitats area, visitors experience a native woodland, prairie and wetland gardens, and a fossil-encrusted limestone grotto waterfall. A boardwalk crosses a pond filled with native bass, bluegill, turtles, frogs and dragonflies. A music maze filled with hidden instruments and noisemakers made of natural materials, an old-fashioned pump for watering plants, a sensory garden, topiary structures and bean teepees populate the Playful Plants area. Children can also build a home for gnomes and fairies, search for caterpillars and other garden wildlife, play in sand tables, a sandbox and a playhouse, make crafts, and try their hand at gardening. Other features of Wegerzyn Gardens include a community garden where over 100 Dayton residents grow vegetables, herbs and flowers. The Marie Aull Nature Trail provides an opportunity to identify trees, wildflowers, birds and wildlife. A boardwalk winds through a swamp forest, allowing visitors to experience a riverbank habitat. A short drive to Springboro Pike took us next to Cox Arboretum MetroPark, home to an abundant conifer collection. Walking trails wind through a woodland wildflower garden, meadows and perennial-filled stonewall gardens. Alpine plants, low-growing vegetation, and dwarf conifers thrive in a sloping rock garden. A clematis-covered arbor is surrounded by an allee of dozens of varieties of crab apples. 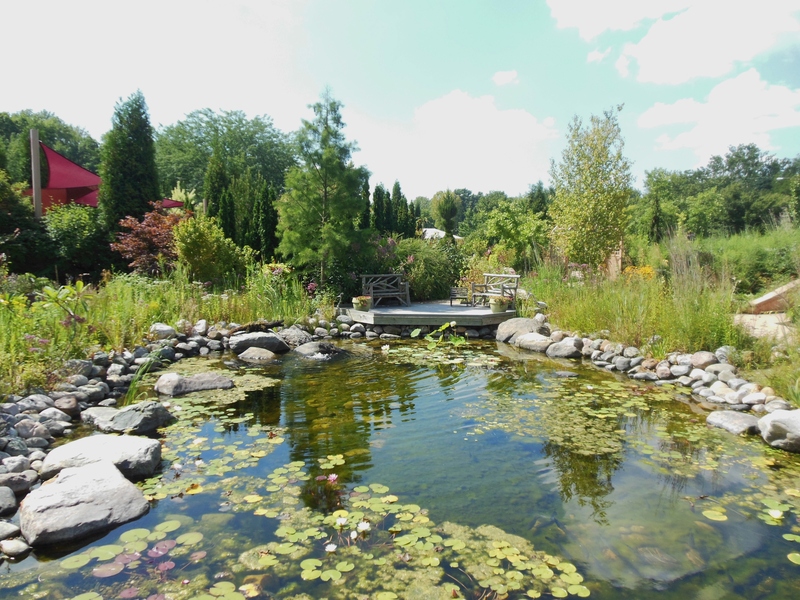 A water garden is landscaped with water plants, perennial and shrub borders, and seasonal displays. A 46-foot-tall Tree Tower provides panoramic views of the park. Children can play in a boxwood maze. Aspiring gardeners can learn about composting and edible plants. Native butterflies and moths in all stages of metamorphosis flitter around the Butterfly House, open through August 25. Filled with a colorful planting of nectar plants for butterflies and host plants for caterpillars, the screened-in house is home to insects that are captured on the grounds, tagged and released outside when the season concludes. 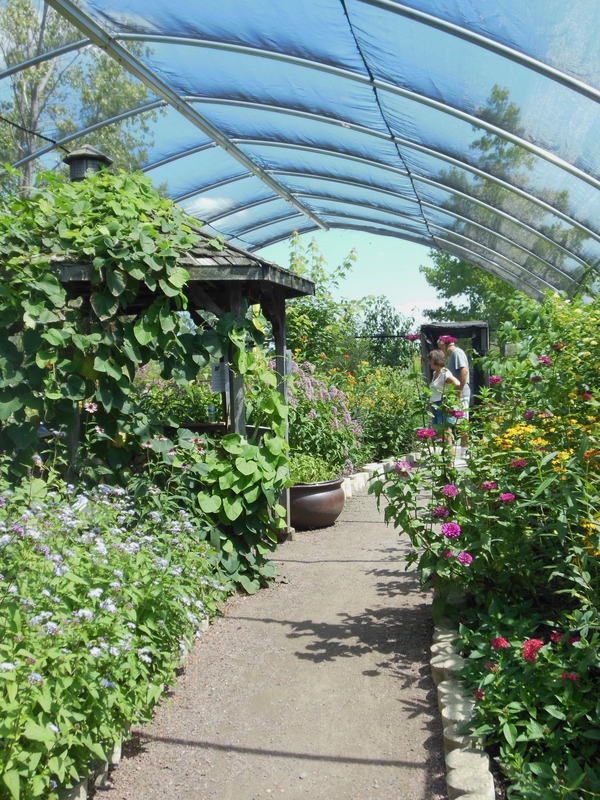 Lantana, Sedum, Milkweed, Parsley, Zinnia, Purple Coneflower and other plants surround a gazebo in which visitors can study examples of a cocoon and a chrysalis. A free take-home booklet is a great resource for identifying butterflies, moths and skippers; learning what makes a good butterfly habitat; and discovering which plants you can grow at home to attract butterflies. It even includes a sample garden plan to get started. 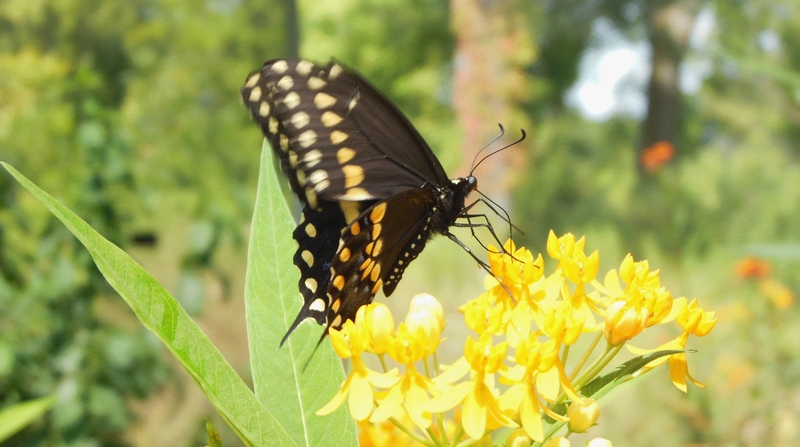 The Arboretum’s Butterfly Child Science Investigation Casebook helps children find out more about butterflies, moths, and the plants on which they depend. 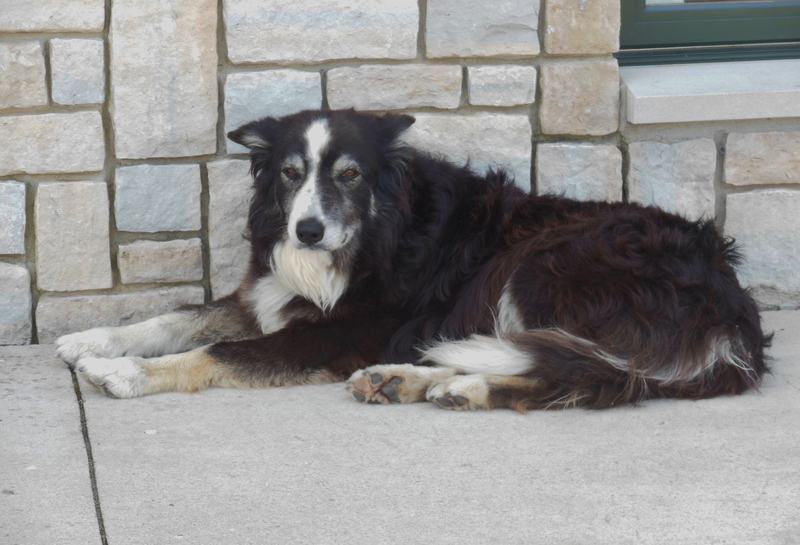 While butterflies are the Arboretum’s seasonal attraction, its year-round star is Zipp, the park’s hard-working Border Collie who helps keep its Canada goose population under control. Our last stop was the Cox Arboretum Garden Store, where you’ll find gardening tools, plants propagated from tested specimens at the Arboretum, as well as native plants and wildflowers from the Arboretum’s collection; botanical-themed books, toys, jewelry, clothing, and home and garden décor; raw honey from the Arboretum’s hives; and potting benches made by the park’s volunteer woodworkers. On my next visit, I’m hoping to bring home a miniature plush version of Zipp. This entry was posted in Dayton, Flowers, Gardens, Nature/Outdoors, Ohio. Bookmark the permalink.